Edward Vincelette died at 3 o'clock Sunday morning after an illness of seven weeks of heart disease. Mr. Vincelette's illness began with a partial stroke of paralysis from which he rallied and seemed to be improving until a change for the worst set in Saturday. In the death of Mr. Vincelette Swanton loses one of that type of substantial citizens who are a credit to a town. Edward Vincelette was born in Swanton 64 years ago and all of his life has been spent in town except for a few years when he was in business in Canada. During all that time he has had but one employer, the Barney Marble Company. 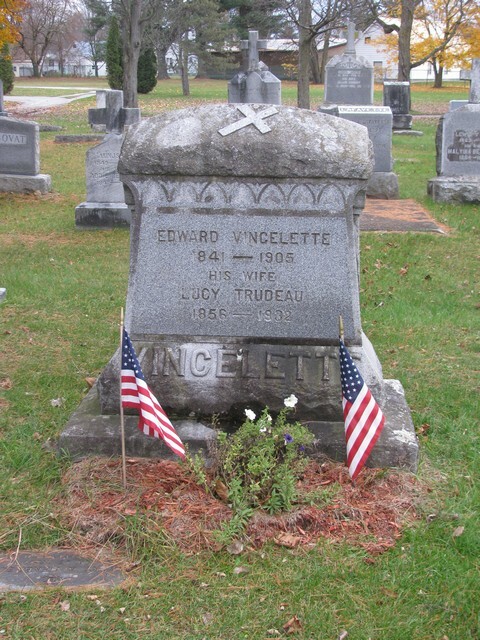 In 1868 Mr. Vincelette married Miss Lucy Trudeau of St. Sebastien, PQ, who with two daughters and eight sons survive him. Mr. Vincelette was one of the leading members of Jesse A. Jewett Post, GAR and had held many offices in the post. His war record was most creditable. He served in Company F of the 10th Vermont, rising through the various grades until he was in 1865 mustered out as lieutenant. 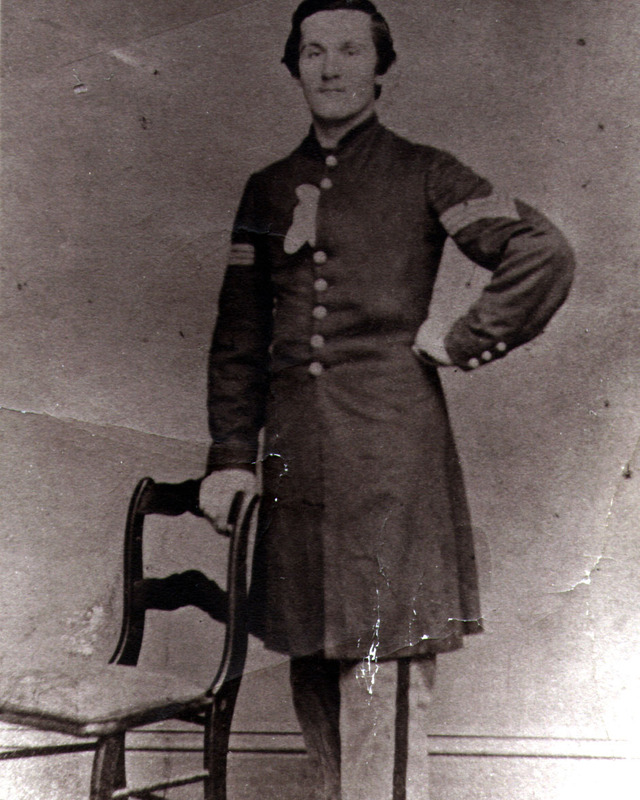 Before enlisting in the 10th Mr. Vincelette enlisted in the 6th Regiment at the outbreak of the war. He was discharged from the 6th for disability, came home and at once enlisted in the 10th. In politics Mr. Vincelette was a staunch Republican and always took a lively interest in municipal affairs. He had served as justice of the peace for several years. The funeral was held from the Church of the Nativity Tuesday morning at 10 o'clock. High mass was celebrated by Rev. Father Salmon with Father Foulliet acting as deacon and Father Alliot as sub-deacon. After the mass Father Salmon delivered a brief and fitting eulogy of the deceased. Mrs. Hogan of Rutland, presided at the organ. The bearers were William McIvor, Joseph Barrette, A. E. Carr, William Manning, C. H. Butterfield, R. O. Sturtevant, C. H. Robinson and Judge Richard Smith of Enosburg. A delegation from the GAR post attended in a body and the church was filled with relatives and friends of the deceased.